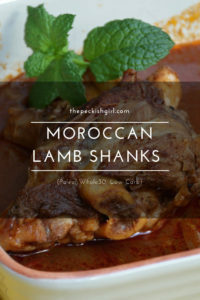 This recipe is made in a pressure cooker, but don’t worry if you don’t have one, you can still make the lamb in the oven, it would just take longer time. But I can’t praise this cooking gadget enough. My husband got me a multi cooker for Christmas and it hasn’t stopped since then. It’s so easy to make a dinner in such a short time. And the meat is so tender. I think we are actually on a lamb frenzy right now. I don’t think I ever ate so much lamb as here in Australia. Especially in the last few weeks. But as the weather changed the needs of the body followed. And I listened. It will probably change in few weeks again, but right now it’s all about spices and red meats. What do you think about eating regarding to the seasons? Does your diet change with the weather or do you eat pretty much the same? Warming, filling and full of flavour, these Moroccan Lamb Shanks (Paleo, Whole30, Low Carb) are just perfect for the colder weather. If you have a pressure cooker which has an option to sear the meat first, use this first to brown your lamb shanks and onion. Let the pressure cooker heat up as a frying pan, add the lard or oil and let it melt. Place the lamb shanks in together with the onion and sear them from all sides. In a bowl mix the homemade ketchup (or tomato passata) with the spices and vegetables and pour it over the shanks. Close the lid and set the pressure cooker on 80kPa for 30 minutes. If your pressure cooker doesn't have the sear option, you can either sear your lamb in a frying pan or skip this step altogether. After your pressure cooker is safe to open, try the tenderness of the shanks with a fork. If the meat doesn't fall of the bone, set the pressure cooker for 10 more minutes. 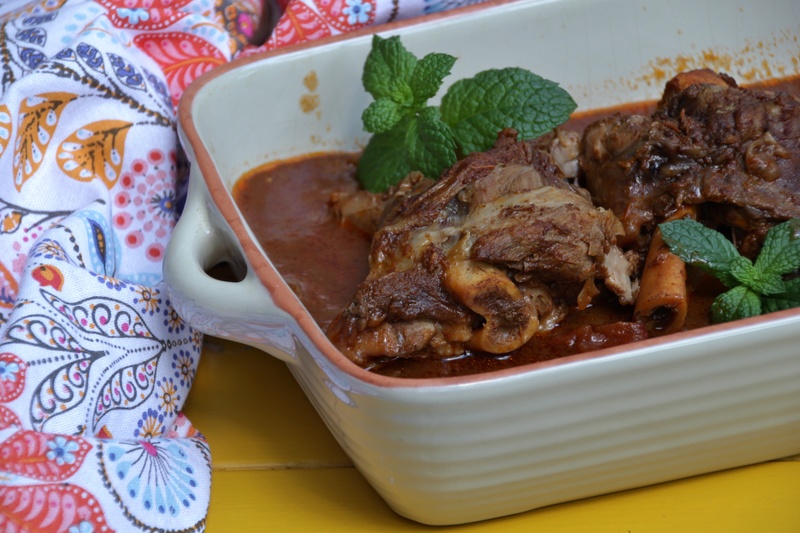 If you don't have a pressure cooker you can still make the lamb the old way in the oven. It would just take a little longer. Roasting the lamb in a covered baking dish for 2 hours on 160 should do the trick. 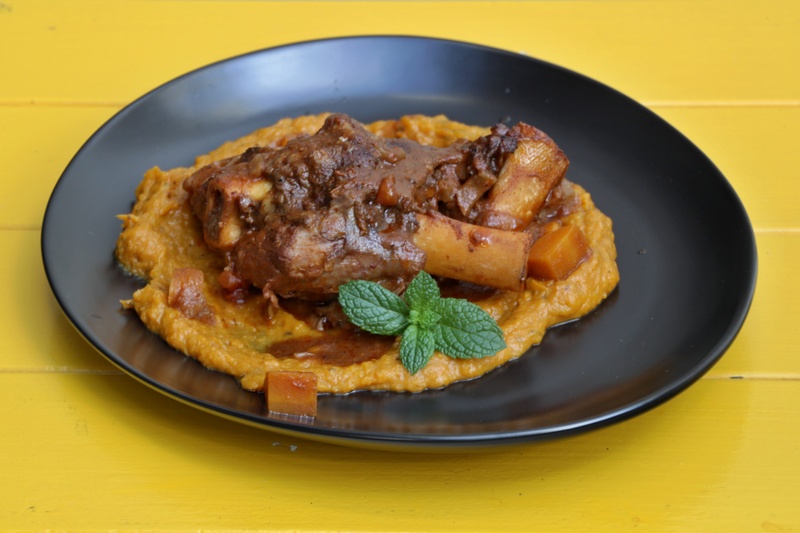 Serve for example with Cauliflower Rice or on top of Fennel and Butternut Squash Puree.